The Bartlett Covered Bridge in Bartlett, New Hampshire just off NH Route 302 was built in 1851 and was closed to traffic in 1939. The bridge spans the Saco River. After several years of various uses including storage it was purchased by Milton Graton in 1966. Graton renovated the bridge and built a gift shop inside the structure. The current owners still maintain the bridge and run the gift shop. 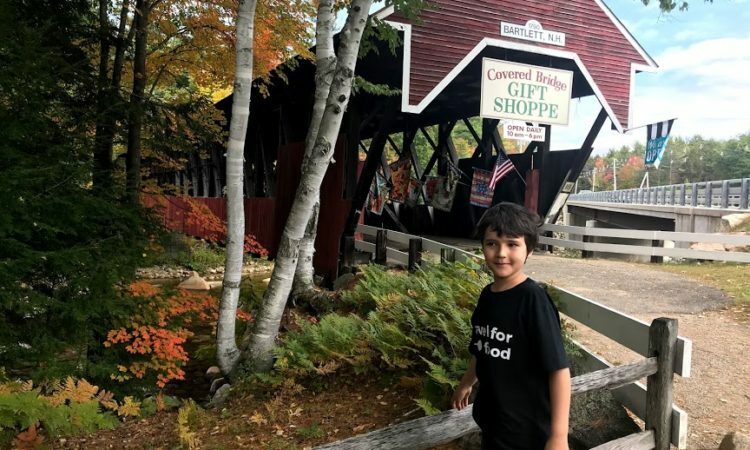 The bridge can be seen from the road (NH Route 302) and there is a sizable parking area for the gift shop where you can access the bridge. By all means pick up your New Hampshire souvenirs at the gift shop.